At this point, you have merely set the Print Preview option to the correct color profile. 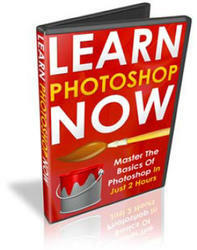 However, if you don't set Photoshop to print with that profile, you won't get the intended results. EPSON Stylus Photo 1290 ColorLife P.P. ■ Choose File ^ Print (Alt+Ctrl+P) to get the Print dialog box. Make sure that the Name box shows the correct printer, Epson Stylus Photo 1280 (or 880). 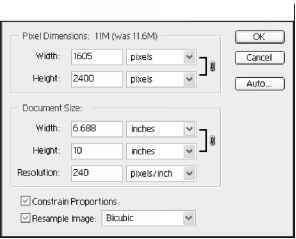 Click Properties to get the Epson Stylus Photo 1280 (880) Properties dialog box shown in Figure 44.5. Click in the Media type and select Photo Quality Glossy Film! 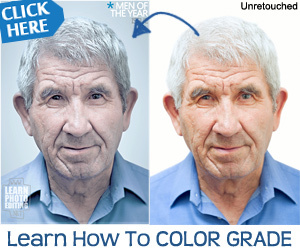 If you are thinking why this media when we are using ColorLife media? Well, because the instruction created by Epson that came with the profile said to use that profile and it works! The engineers that created the profile may not have had the ColorLife media type when they created the ColorLife profile — anyway it works well so I suggest that you use it. Now click Custom in the Mode area and then click the Advanced box to get the Advanced dialog box shown in Figure 44.6. The next step is very important. Click No Color Adjustment in the Color Management area. 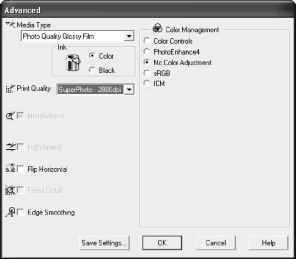 This turns off the Photoshop 7 color management feature and specified that the print is to be made with the ColorLife profile that we selected in the Print with Preview dialog box in Step 1. Clicking in the Print Quality box, you get a popup menu that gives you three choices: Photo -720dpi, Photo - 1440 dpi, or Super Photo 2880 dpi; click Super Photo 2880 dpi to get the best possible print. Printing an 8" x 10" print with this setting takes a long time! To get nearly equal results, select the Photo -1440 dpi setting. 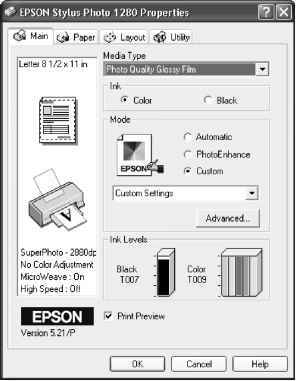 Click OK to return to the Epson Stylus Photo 1280 Properties dialog box. To get a preview of the print, click in the box next to Print Preview if a check mark is not already there. I always make sure to check this option, for it can save a piece of paper and some ink if you have settings that aren't what you want them to be. Click the Paper tab if you want to print the image in the center of the page. Click in the box next to Centered in the Printable Area and the image centers on the paper. box. Why the colors are always wrong is a mystery to many of us. Just use the preview box to see that the image is approximately the size you want it and that it is placed on the page as you want it. Click Print to begin printing the image. The steps used in this technique to make a print using an ICC profile apply to most of the Epson printers and to most of their papers. Sadly, not all of the profiles that you can download from the Epson Web site are as accurate as the one for the ColorLife media. To get better profiles, you can make them yourself (this can take lots of time, maybe too much, and considerable money for the necessary tools) or you can buy profiles. Mitch Leben's Epson Printer e-mail group, which has hundreds of experienced Epson printer users who are willing to answer questions and offer tips. You can subscribe by visiting www.leben.com/ lists/epson-inkjet. Alan Womack's FAQ (Frequently Asked Questions) Web page, which is based upon postings made to the Epson Printer e-mail group mentioned previously. You find the FAQ Web page at home.att.net/ ~arwomack01. Ian Lyon's Computer Darkroom offers lots of useful information for digital photographers including a tutorial on using ICC profiles that has links to an Epson Australia Web site where more Epson media profiles may be downloaded. You find this site at www.computer-darkroom.com. 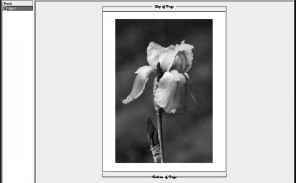 Mastering Digital Printing: Photographer's and Artist's Guide to Digital Output, by Harald Johnson.